Poolside Manor strives to cater for all ages and abilities and thereby offers very popular parent and toddler lessons for babies and children aged below three. These sessions are hosted by very experienced teachers who lead the sessions from in the water. We believe these lessons can help your child build confidence in the water, preparing them for their own swimming lessons once they are three years old. We are proud to say that this is where the warmth and comfort of our pool and surroundings really come into their own. Lessons begin by building up children’s water confidence through a variety of games, activities and nursery rhymes. We believe in the value of all swimmers enjoying and feeling comfortable in the water, from getting their face wet and blowing bubbles to floating, jumping in and simulating strokes. 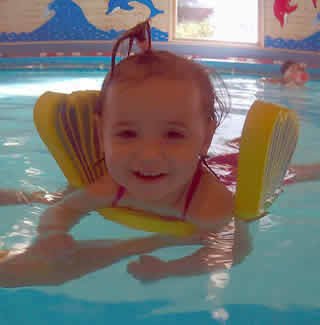 Lessons move on to focus on developing toddlers’ mobility, co-ordination and independence in the water. This is achieved by a variety of activities using water toys and floating aids that capture each child’s imagination whilst they learn. 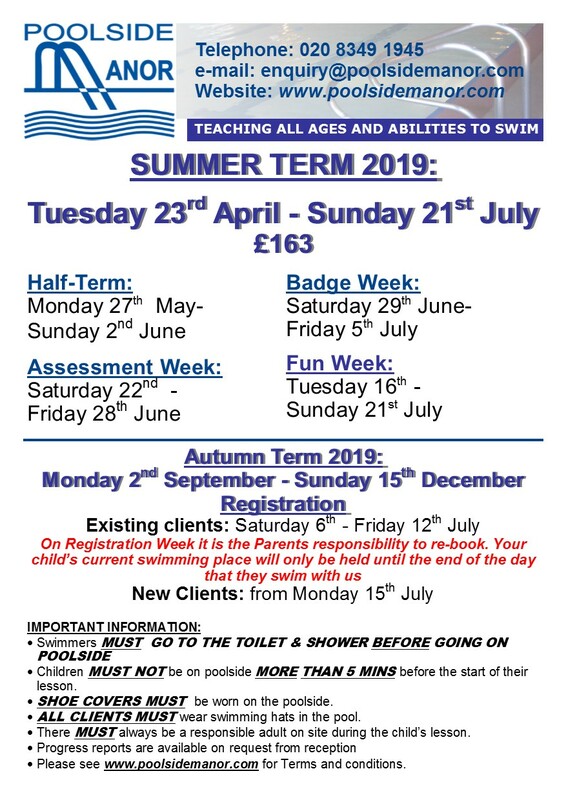 This culminates in each child progressing towards the basic swimming strokes in preparation for their own, independent, swimming lessons from aged three upwards. One parent or guardian must be present in the water with each child. Poolside Manor allows parent and toddler clients to make up a lesson that has been missed through illness or holiday. This should be arranged with our receptionist and is always offered at the manager’s discretion. This only applies to parent & toddler lessons. The current Health and Safety Guidelines stipulate that babies can start swimming at any age. However, this is the parent’s choice and you may wish to wait until your baby has received all inoculations prior to commencing lessons. One 30 minute lesson per week for 12 weeks. £163.00 - pro rata for late joiners.